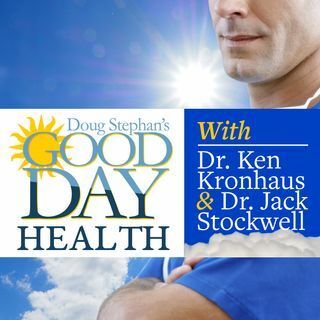 Host Doug Stephan and Dr. Jack Stockwell http://www.forbiddendoctor.com invite Dr. Michael Murray http://www.doctormurray.com to discuss the health of the GUT. Dr. Murray is one of the world’s leading authorities on natural medicine. He has published over 30 books and is the Chief Science Officer of ENZYMEDICA https://www.enzymedica.com. Learn how widespread the problems of the GUT are, what the symptoms are that contribute to GUT issues, and how you can treat them. What about the old stand-by ... See More TUMS...good or bad? New research shows that moderate amounts of wine and tea may help fight infections. Next, the many reasons that pregnant women should not get Flu Vaccine.